It would seem that many of the conservative commentators have nailed Tony Abbott’s weaknesses, and it doesn’t look good for the Liberals. 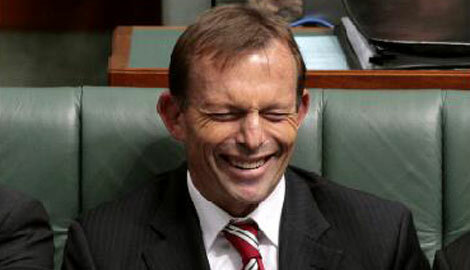 TONY Abbott has branded himself a muscular “direct action” politician. Yet he is now vowing no action against Julia Gillard’s re-regulation of the job market … Abbott has little interest in the pro-market policies required to exploit Australia’s new growth opportunities. All up, Abbott is retreating from the economic agenda championed by the Liberal Party over the past quarter of a century. The pity of it is that Abbott’s successful run for the leadership at the end of last year was all about taking a brave line against the ETS, Labor, and the paralysis of group think. His brilliant stance at the time was even suggested as a possible inspiration for David Cameron of the British Conservative Party, to avoid the universal tendency for opposing political parties everywhere to roll into the cosy centre of the bed with market-research driven, bland, populist policy positions. This tendence, and subsequent lack of real choice, is deeply disappointing. This entry was posted on July 19, 2010 at 16:46 and is filed under Uncategorized. You can follow any responses to this entry through the RSS 2.0 feed. Both comments and pings are currently closed.